We only sell Toyota Hiace Hiace Campervans as they are so reliable! This is Australia's most popular 2nd hand campervan for many good reasons! Call Shaun on 0421101021 to arrange a test drive or ask us a question. 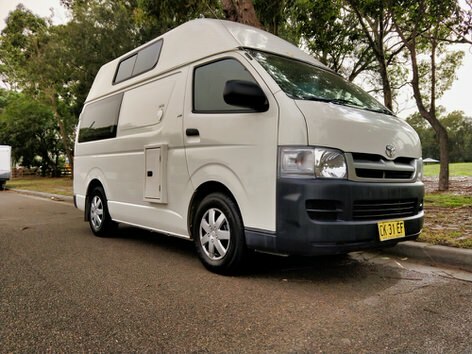 Great Toyota Hiace Used Campervan for sale in Sydney with 12 months warranty on Engine/Transmission. Call Shaun on 0421 101 021 to arrange a test drive or ask us a question. 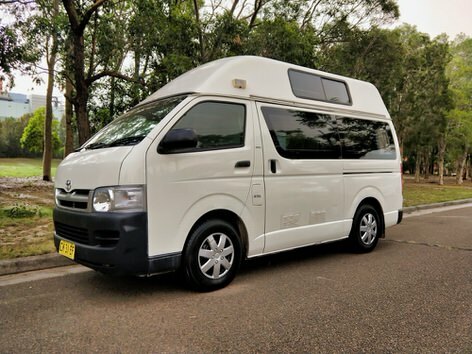 Are you looking for used campervans for sale in Sydney? Travelwheels Used Campervans Sydney can help you find the right van for you. All our campervans come with 12 months warranty included in the price. Call Shaun on 0421101021 for more details. If you are searching to buy used campervans for sale in Sydney it’s important to research the company you are thinking of using. 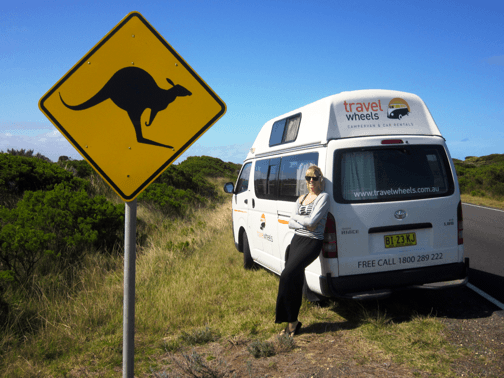 Travelwheels Used Campervan Sales is a registered NSW (New South Wales) car and campervan authorised official reseller. We sell used ex-hire 4x4s, cars and used campervans for sale in Sydney. 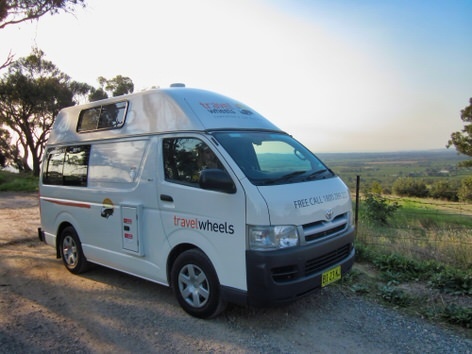 Travelwheels also builds our own used campervans for sale in Sydney as well. We sell used campervans for sale in Sydney + used 4x4s! Why buy a used station wagon for sale Sydney? The most popular used vehicle travelwheels used campervans for sale in Sydney has are called a “station wagon”. Basically it is a large estate car and has space to fold down the back seats for a double bed. This is a quick and cheap way you can have a mobile hotel on wheels. Buying a station wagon for sale is the cheapest vehicle we offer and another positive point is that they are easiest vehicle to resell after your trip. Travelwheels used campervans for sale in Sydney build used campervans with kitchens and double beds. We also sell off our ex-hire used campervans for sale in Sydney with 12 months warranty. These are great fun and come with plenty of extras so you can have a wild time down under! We can add extra features such as 2 battery systems, fridges, kitchens and just about anything else you can think of! Check out this video below of our German carpenter, Marco demonstrating just one of the very popular 2 person used campervans for sale in Sydney from our main office in Sydney. 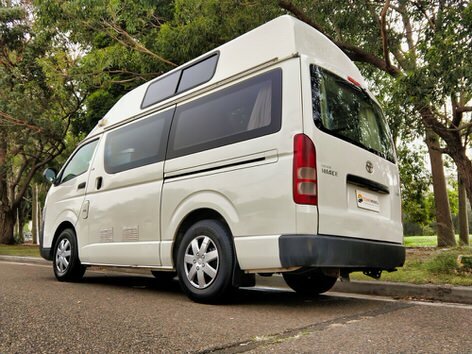 Travelwheels Used Campervans for sale in Sydney also can make 4×4 bushcampers. If you are looking to buy used 4×4 then you have come to the right place! We can also build you 4×4 used campervans for sale in Sydney with fold out double bed and a kitchen. Have a look at this travelwheels Used Campervans for sale in Sydney YouTube video featuring “Wayne” our used 4×4 sales manager. Wayne has had over 40 years experience in buying 4×4’s in Australia. In this video he gives you some tips and advice on buying used campervans for sale in Sydney. Remember Wayne can talk about used 4x4s for days! Don’t get him talking about the days he worked in Carnaby street in London selling shirts to the Beatles in the 60’s as you will never get away from Wayne! Why buy used campervans for sale in Sydney from us? Now you have seen the types of used campervans for sale in Sydney travelwheels campervans have in stock. The next question you are probably going to ask is about customer service? How about the extra warranty included with every used campervans for sale in Sydney from travelwheels campervans? 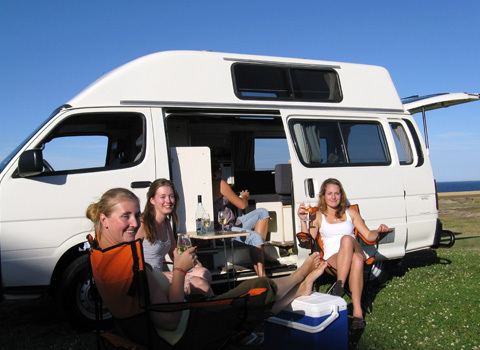 Below is a list of the main benefits of buying from Travelwheels Campervan Hire. If you have any further questions then you can send us an email and our friendly staff will be more than willing to answer your questions. Give you plenty of advice on travel routes, places to go and where you can camp or sleep at night for free to save you money!